In this guide you will create your first application. The objective is to get you started with initializing and running wolkenkit applications. 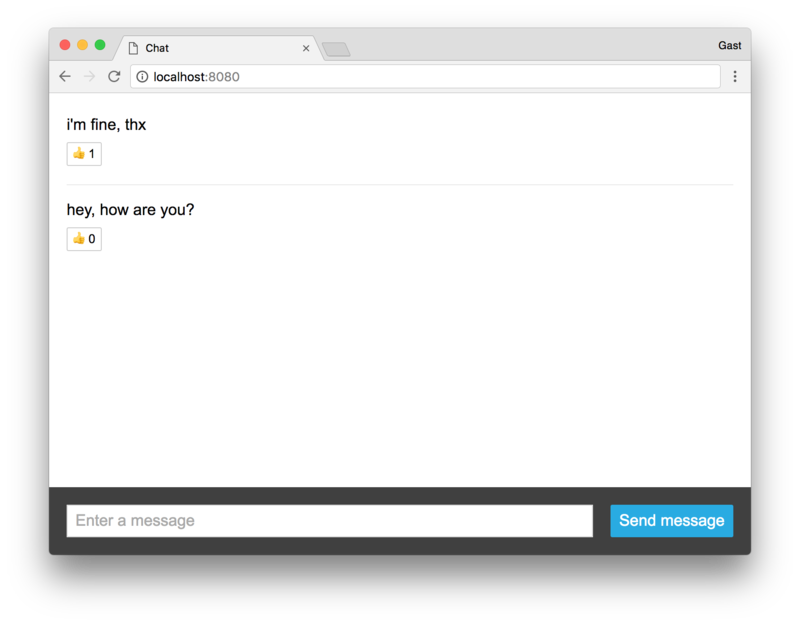 Your first application will be a ready-made chat application that allows sending and receiving messages in order to talk to other users. Additionally, users are able to like messages. So, let's get started with creating the application!